Apple will refresh its MacBook lineup with Intel's latest Kaby Lake processors in 2017. The Cupertino-based company will also add an option for 32GB RAM on the 15-inch model. According to KGI Securities' Ming-Chi Kuo, Apple will update the 12-inch MacBook and the newly introduced MacBook Pro variants with Intel Kaby Lake processor this year. The 12-inch MacBook will get an option for 16GB RAM and mass production for these machines will begin in the second quarter of this year. Kuo also notes that production run for the 13-inch and 15-inch models will begin in the third quarter of this year. 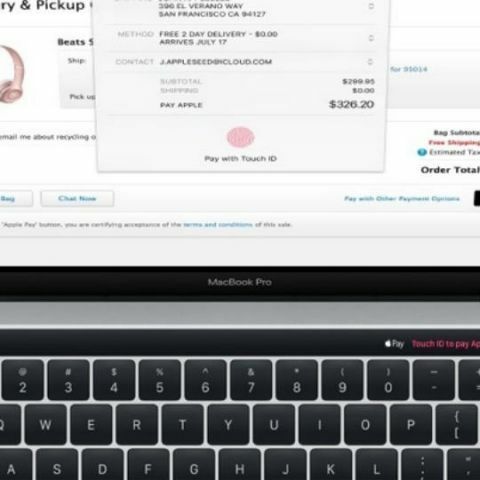 Apple recently announced 2016 MacBook Pro lineup with thin design and an OLED Touch Bar essentially replacing the function row. While the machines offered MacBook-like design, Apple limited the RAM to 16GB and used last-gen Skylake processors. Post the launch of 2016 MacBook Pro, Apple faced a lot of criticism from creative professionals for not offering 32GB RAM option. Apple executive Phil Schiller explained the move as an effort to preserve battery life. In 2017, Kuo says Apple will adopt desktop memory to satisfy high-end users. Kuo also mentions that Mac shipments will grow in 2017 and demand for Touch Bar MacBook Pro is better than expected. He also mentions that 13-inch MacBook Pro without Touch Bar has not performed well despite the product being an entry-level variant. Apple CEO Tim Cook recently confirmed that his company is working on great desktop machines for creative professionals.